Many will view this book as Rice’s nicely-timed “coming out” premier because, after all, where’s the evidence of genuine conversion in her work output? I knew when John Grisham converted: his writing dramatically changed. But what about Anne Rice? Is she simply trying to profit from the latest media-circuit bandwagon bearing Jesus’ name, a la The DaVinci Code, Dan Brown, his imitative minions, and a soon-to-be-released major blockbuster film? “The book I have planned on Jesus Christ is a very, very serious book. It’s nothing trifling, it’s nothing disrespectful and it’s nothing satirical. There’s nothing meant to be comic, though I think there’s going to be comedy involved. There had to be some comic aspects in Christ’s life that were expunged by early writers. Through it all, she has worked on this book (with the majority of her research occupying the last three years), wrote the closing chapters of her Vampire Chronicles, and attended Mass and Communion every Sunday—though often at different churches. I went back to the church in 1998. I was reconciled with the church and I did a kind of violence to my mind. Maybe a blessed violence, maybe a divine violence, but definitely a violence. I did a violence to my creativity. I have written two books since then, three books actually, Merrick, Blood and Gold and Blackwood Farm. But my mind is still undergoing some sort of Synthesis. I work all day on my book and then I go out and read the Bible on the deck and I know what many of you are thinking that probably this is the end of me as a sensuous writer and the end of me as a transgressive writer but I don’t think that is true. I do think I will come out of the closet as a Catholic writer. But I think I’ll come out as a radical Catholic writer and I am not sure yet what all that will mean. That book at the end of 2003 will be the last one with which I approach the altar of God in convolution. There will be no more after that one … there will be no more. There may be life for Lestat, my vampire hero, there may be life for the Mayfair witches; there may be life for them, but they’ll be on television or in the movies. I have great hopes for television, and what might do. But the books won’t come from me anymore. Something entirely different will come. Something much more direct. But that last book will be published in October. So, how have this return to faith and subsequent trials shaped Christ the Lord? As to the potential effect of Christ the Lord on readers: those who already know and love Jesus will find images and scenes to feed and deepen their prayer; those who know little of Jesus may be attracted and enticed to draw closer to him; those who do not know him at all or who up to this point have resisted him may find themselves wanting to learn more about him. No matter where one stands in relationship to Jesus, he or she will not stand in exactly that same space after reading your book. You’ve actually done some great work for the Kingdom! I find the possibility of your fan-base becoming more acquainted with Jesus Christ a tremendously good thing, and most likely the reason God gave you such prodigious talent in the first place. Throughout history—from the DaVinci Code and the work of Walker Percy or Flannery O’Connor, back through Pilgrim’s Progress and the Divine Comedy to the parables of Jesus—fictional narratives have been important ways for authors and readers to explore matters of ultimate concern. 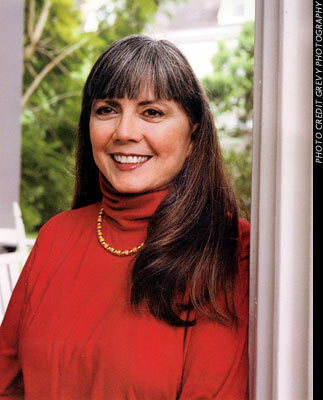 Anne Rice here places herself in this rich tradition. Yes, this portrayal of Jesus will engender controversy—but it will also convey a sense of the political, social, and religious milieu into which Jesus came, which will in turn shed new light on the meaning of his teaching, life, and passion. Also on the plus side, Rice recognizes that not all the “historical Jesus” crowd acknowledges Jesus’ divinity: “Some of the people in New Testament scholarship don’t hide their bias at all. They’re just out to prove Jesus wasn’t God, but of course that’s impossible to prove.” Rice further notes that historians are kinder to Hitler than to Christ, granting Hitler at least a little mystery, power, and mysticism. It’s not useful, here, to criticize the critics, but if this is the best, most authoritative critic the Morning News could find, then there must be a lot of substance to Rice’s book. …a bully comes after the 7-year-old Jesus. “I felt the power go out of me as I shouted: ‘You’ll never get where you’re going.’” The bully falls down dead. Later, Jesus resurrects the bully, having made his point. Next, he was going through the village again and a running child bumped his shoulder. Becoming bitter, Jesus said to him, “You will not complete your journey.” Immediately, he fell down and died. Now, if you’re truly being faithful to the legitimate Gospel records of the nature of Christ both as the only perfect man and as the fully divine Son of God, this is not the passage you’d want to start your book with. This passage, and Rice’s extrapolation, don’t show a perfect pre-adolescent Christ growing in knowledge, wisdom, grace, and favor with God and man. Rather, this is speculation about a socially inept, rage-addled second-grader who bullies others, has the power to murder, and the power to avoid consequences. So, despite Rice’s orthodoxy in matters of divinity, I’m not all that confident about her speculation on Christ’s humanity. Though he was a man, Christ was perfect in every way. This scene wins no awards from me. What Would Anne Rice Think (WWART)? Gays have nothing to do with the ills of our society. On the contrary, we find them everywhere playing positive roles in the arts, in education, in the military, in politics, in teaching. And we are coming to understand that they have always been with us, perhaps in the same proportions, in every society on earth—a percentage born apart—playing some significant role in the evolution of the species with regard to their special gifts. Rcksteroni, at Brutally Honest, hopes Rice’s conversion is genuine, that her faith remains, uh, faithful, and that her readers will follow her footsteps. Well, we don’t really know where her footsteps lead, yet, do we Rckster? That Josue. Such a conservative latino blogger. When I get a copy of the book, I’ll review it here. But meanwhile, I’d recommend the book for anybody who wants to stay informed about the latest pop-culture Jesus hoopla. Rice’s book will surely raise a lot of questions which the Evangelical world must formulate answers for, but it’s likely this will also be a service to the Church, like Mel Gibson’s recent movie was. As with The Passion of the Christ, there may be much to criticize, but it’s certainly possible (even likely) that the Holy Spirit will use this woman, her career, her grief, her influence, and her books to affect a whole swath of people for Christ who would never have considered him otherwise. Otherwise: approach the book with caution. Rice says that from here on out the Vampire Chronicles and Witches and etc. are kaput, and she’s only writing for the Lord. May this be the first of many works of art inspired by Divine grace. May it be so. But, regardless, you’ll likely need to alert to avoid the liberal theology in her works for some time. 10/26 Update: Donald Sensing over at One Hand Clapping has a good analyses of the flaws in Rice’s selection of material for her background material, especially in her treatment of Christ’s miracles and their meaning within a narrative context. Worth the read. 11/04 Update: My colleague (and savior of my cats—but that’s a different story), Stan Guthrie, found a distribution number that conflicted with mine. I said 500K, he said 325K. I figured he was right, but all my sources said 500,000, including the Dallas Morning News, and Publisher’s Weekly. I looked again, and found that PW had both numbers. Stan called Knopf and got the right number. Knopf’s confidence in Rice’s popularity has hereby been downgraded to a first-print run of $325,000. Still, if Knopf manages to squeeze $20 out of each copy, that’s a cool $6.5 million dollars in revenue. Hi, Lyn, thanks for the link and for your comments! Yeah, all too frequently, the media look to the sensationalistic and liberal to serve as the mouthpieces for Christianity. I’d love to see, for example, Craig Blomberg’s, William Lane Craig’s, or Walter C. Kaiser’s take on Anne Rice’s book when it arrives. Alas, those good folks are far too Evangelical to be relied on to give safe soundbytes for the liberal media. Instead we’ll see more praise from the historical Jesus crowd and other limp liberals before we see any solid criticism. LIke you, I hope Rice doesn’t become a spokesman. I keep thinking of the injunction to “Lay hands on no man suddenly,” and that those who presume to teach the Word have a greater responsibility. Rice is a relatively young Christian (er … Catholic Christian?) and still too strongly attached to her pagan fiction to serve as an effective ambassador for Christ, I think. Anne Rice doesn’t write about demons? Then EXACTLY what are vampires? THEY ARE DEMONS. I have a friend who wastes her time reading Rice’s books (along with Stephen King and the other “great” horror writers). She idealizes Rice because Rice is so famous, so rich…Fragile, she is easily seduced by evil and she thinks that it’s okay because Rice has glamorized evil; thus making it l(and the demons and the demonic world Rice sells) legitimate. By the way, violence is evil. So are little psychopathic boys that kill other children that get in their way. Because of Rice and other influencial ”writers” like her that have legitimized evil, my friend is going to lose her soul. That is the legacy of romanticizing, sympathsizing with and glamorizing evil. As for paganism, I’m a pagan. Paganism has nothing to do with the selling of evil. It has more to do with the understanding that there is more than one god, including the god of death called by a variety of names including molech, ba’al, wanchenlu. It is this god of death that Rice serves and her service helps to make this world more of the real hell it is. If Rice has become such a christian, why does she still push for her evil writing to be filmed and reprinted? Why doesn’t she give away all the money she made writing and extolling evil to charities that really fight evil? She wants it all: Money and Fame in this Life and Salvation in the Next. Didn’t Christ say that you can’t have it all? Rice and her camel want to go through the eye of a needle. Even if she found a way to do it, there’s only hell on the other side. Rice still only serves herself. There is no service to others and the only ”service” Rice is doing is trying to sell a violent, corrupt, misogynist, patriarchal, soul-limiting/killing religion to the world after she wounded many psyches by scaring many of her readers with demons and evil. You dance with the devil, you will get your reward. You sell evil as something natural and you sympathesize with it, you will go to hell. You sell your evil with the suffering of gays, lesbians and transsexuals, you’re really damned. So, Anne Rice has “quit” Christianity (via ChristianityToday.com)â€”Not that surprising given her very liberal version of faith to begin with. Reading between the lines, it’s more like she quit the “brand,” not the faith. She still believes in Jesus, but it seems she’s reading a different Bible than most of us do.